1. It is fashionable to disparage B. B. Warfield without having actually read his work. 2. Of all the “Old Princeton” theologians, Warfield was the best: he was a far better theologian than his predecessor Charles Hodge, and an infinitely better theologian than his successor Loraine Boettner. 3. 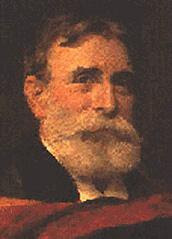 Warfield was not a mere repristinator of Calvinist tradition, but he appropriated the tradition constructively and creatively: for instance, in contrast to classical Calvinist theology, he taught that the great majority of human beings are elected for salvation; and, again in contrast to the tradition, he taught that God is universally and immediately gracious towards those who die in infancy. The fact that Calvinist tradition needed to be much more radically revised is no belittlement of Warfield’s own insights. 4. Warfield was a scholar of broad and diverse learning: before teaching systematic theology at Princeton, he had specialised in both Old Testament and New Testament, and he was widely read in poetry, fiction and drama, and in the scientific research of his day. 5. Warfield was a very fine historian of theology: his historical work on (inter alia) Tertullian, Augustine, Calvin, the Westminster Assembly, Edwards, and Ritschl remains valuable. 6. Unlike most of the other early “fundamentalists,” Warfield took scientific knowledge seriously, and he made an admirable effort to integrate Darwinian evolution with Christian theology. 7. Only a relatively small part of Warfield’s theological work focused on the doctrine of Scripture, and it is regrettable that he has been remembered almost solely for his (deeply flawed) work on revelation and inspiration. 8. Warfield was a great reviewer: the collected edition of his works includes an entire volume (487 pp.) of his critical book reviews, in which he interacts constructively with an impressive range of British, American, German, French and Dutch scholarship. 9. Warfield knew a good book when he saw it: during a visit to Switzerland early in the 20th century, he shrewdly purchased from the Geneva Public Library – for $20! – a lovely first edition of Calvin’s 1536 Institutio (the volume is now held in the Special Collections at Princeton Seminary). 10. Warfield was a good man: throughout his productive career he was quietly serving as a fulltime carer for his disabled wife, Annie.